What is hedge fund? How could we benefit from investing in hedge funds? Usage of hedge funds in a personal portfolio is witnessing a dramatic increase. A hedge fund is just a fancy term for an investment partnership. It is the marriage between a professional money manager and the investors. The fund manager is the general partner while the investors are the limited partner. They bring together their money for the fund. The investors contribute money for the assets. In contrast, the fund manager manages it as per the fund’s strategy. A hedge fund’s goal is maximizing investor yields and removing risk. Yes, this structure and goals do seem like that of mutual funds. However, the similarities end here. Hedge funds are more exclusive, aggressive and risky than mutual funds. The term “hedge fund” comes from using trading methods which hedge fund managers perform. These managers have the option of hedging by either going long or shorting stocks. Managers go long when they predict a market upturn. They short stocks when they foresee a market decline. Hedging techniques are used to mitigate risk. However, many consider such strategies to have more risk. A shared premise among mutual funds is their market direction neutrality. They seek to earn money regardless of the market trend. This way, a hedge fund team is more similar to traders than investors. Not all mutual funds do actual hedging. Some mutual funds use such strategies more than others. Open only to qualified or certified investors – Hedge fund investors need to fulfill specific net worth requirements. It is usually a net worth more than $1mn not including their primary residence. Or a yearly income surpassing $200,000 for the past two years. Broader investment spectrum – A hedge fund universe is restricted only by its order. Hedge funds can invest in anything and everything. Be it currencies, land, derivatives, real estate, etc. In contrast, mutual funds are limited to bonds or stocks. High use of leverage – Hedge funds generally employ leverage to increase their returns. This makes them prone to a broader range of risks. This was visible during the recession of 2007-2009. Hedge funds were hard-hit during the subprime meltdown. It was because of the high exposure to collateral debt liabilities and high leverage. Fee structure – Hedge funds charge a performance fee in addition to expense ratio. The most prevalent free structure is “Two and Twenty” or “2 and 20”. This means a 2% management fee and then a 20% share of profit. There are more much specific features which define a hedge fund. However, they are private investment tools. Hence, hedge funds can do anything they wish, provided; they reveal the strategy to investors. Such a broad range may seem risky. At times, it is risky. Some of the noteworthy financial turmoil involved in hedge funds. But, the flexibility of hedge funds has also led to some remarkable long-run returns. For a better understanding of hedge funds and their popularity, let’s build one. I name my hedge fund “Value Fund LLC.” I will have an operating agreement which states how the fund works. This legal document says that I will get 25% of any gains over 5% every year. Plus, I can put money on anything and anywhere. Ten investors invest $10mn in my fund. Hence, my fund begins with $100 million. All investors fill their respective agreements. This is the same as an account application form. The investors send their check to my broker directly. They can also send it to a fund administrator. This administrator is from an accounting company which offers all the bookkeeping work for an investment fund. The manager will record his/her investment in the books. Then he/she will send the funds to my broker. Value Fund is now up and running, and I start managing money. Once, I see great opportunities; I tell my broker what to buy with the $100mn. After a year, my fund is up by 40%. Hence, now it is worth $140mn. Now, as per the operating agreement, the investors get the first 5%. Thus, the profit of $40mn will first be subtracted by $2mn, i.e., 5% of $40mn. The investors get this amount. This 5% is the “hurdle rate.” It is because I first need to attain this 5% “hurdle” return. Only after that can I earn any performance compensation. The rest $38mn is divided: 75% to investors and 25% to me. As per my 1st-year performance and my fund agreement, I earned $9.5mn. The investors receive the remaining $28.5mn plus the $2mn hurdle rate. You can see that the hedge fund business could be appealing. If instead, I was managing $1bn, my share would be $95mn. My investors would take $305mn in this case. Yes, hedge fund managers do get criticized for earning such huge sums. But, that’s because the critics do not cite that my investors also made $305mn. Did you ever hear a hedge fund investor complain about the same thing? What gets criticized the most is the other element of the management compensation plan. That is the “2 and 20”. Most hedge funds today are using this scheme. This plan means the hedge fund’s manager gets 2% of assets and 20% of profits. It is 2% which is criticized. It is not tough to understand why. Even in the event of losing money, the hedge fund manager still gets a 2% asset fee. So, a manager managing a $1bn fund can take home $20mn yearly without doing anything. Worse yet is the manager who makes $20mn though his fund loses money. He/she then needs to explain to the investors why their account values fell. This is in addition to justifying why he is still earning $20mn. It is a difficult sell and one which does not work often. In the above example, my fund did not charge an asset management fee. Instead, it took a greater performance cut, i.e., 25% rather than 20%. This gives the manager a chance to earn more. However, this is not at the cost of the investors. Instead, it is alongside them. Sadly, this no-asset-management-fee system is rare today. The 2 and 20 structure is the most common. However, a new setup emerging now is 1 and 20. Hedge funds can follow different strategies. This includes equity, macro, activism, relative value, and distressed securities. A macro fund puts money in currencies, stocks, and bonds. It hopes of gaining from macroeconomic changes like global interest rates etc. An equity fund may be nation-specific or global. It invests in appealing stocks. The equity fund hedges against the decline in equity markets by shorting overpriced stocks. A relative-value fund benefits from spread or price inconsistencies. Other strategies of hedge funds are income, value, aggressive growth and short-selling. Another common strategy is the “fund of funds” method. Under this, a hedge fund replicates other hedge funds. Such mix-and-match of various strategies and asset groups offers a steadier long-term return. It is possible to control risk, return and volatility by mixing the core strategies. Popular hedge funds today entail the Paulson Funds. John Paulson found this group of different hedge funds. Paulson earned fame after his fund made billions from betting against mortgages in 2008. He also has specific hedge funds, for example, one which invests only in gold. Pershing Square is another very successful hedge fund. It is run by Bill Ackman. Bill invests in firms he thinks are undervalued. He aims to assume a more active role in the firm to unlock value. Activist strategies include hiring new management, changing the board of directors, etc. Carl Icahn, a famous activist, also runs very successful activist hedge funds. Icahn Enterprises (IEP), one of his holding firms is publicly traded. It gives investors a chance to bet on Icahn’s expertise at unlocking value. This is mainly for investors who are wary of investing directly in hedge funds. There is one more unique trait of hedge funds. That is, they do not face much oversight from the Securities and Exchange Commission. This is mainly in comparison to pension funds, mutual funds, and other investment tools. Reason? Because hedge funds collect money from certified or qualified investors. These investors have high-net-worth and meet the net worth criteria. A few funds are operating with non-certified investors. But, U.S. Securities law state that a majority of hedge fund investors are accredited. The SEC finds them to be wealthy and sophisticated enough to address risks related to hedge funds. Hence, it does not subject hedge funds to the same regulations. But do not be mistaken. Hedge funds are governed. They are coming under the lens more and more now. Hedge funds have become very big and strong. The SEC is paying closer attention. Today, there are thousands of funds, collectively handling $1 trillion. Hence, the SEC is now paying closer attention. Plus, violations like insider trading are happening more often these days. Therefore, it is crucial for a regulator to step in. Five years back, the hedge fund market saw a significant regulatory change. The Jumpstart Our Business Startups Act (JOBS Act) was enforced in March 2012. Its essence was to promote small business funding in the country by simplifying securities laws. This Act had a significant influence on hedge funds. For example, the ban of hedge fund ads was removed in September 2013. In 4-to-1 voting, SEC passed a motion to permit hedge funds to advertise to the general public. However, they can still take investors from certified investors only. At first glance, hedge funds might not seem like venture capitalists. However, they are often the leading suppliers of money to small businesses and startups. This is due to its broad investment net. Allowing hedge funds to solicit will only help the development of small businesses. It will increase the pool of investment capital. Hedge fund marketing offers fund’s investment products to certified investors via several mediums. These include TV, print, and the internet. Hedge funds wanting to advertise should file a “Form D” with SEC. This should be at least 15 days before it begins advertising. SEC is very keen to know how private issuers use advertising. Therefore, it has made changes in Form D filings. Funds advertising publicly will also have to file a modified Form D. This should be within 30 days of the termination of offerings. Inability to follow this will result in a ban from creating any more securities for a year. This could be for a more extended period too. Investment techniques are effective in producing positive returns in both falling and rising markets. This includes both bond and equity markets. Hedge funds are a balanced portfolio which can mitigate portfolio volatility and risk. This, in addition to increasing returns. There are several types of hedge fund investing techniques. Most of these are not related to one another. This allows investors to personalize their investment technique. Access to many talented fund managers. Focused investment technique makes hedge funds prone to more significant losses. Hedge funds have less liquidity than mutual funds. They need investors to lock money for many years. Leverage use can turn a minor loss into a huge loss. Then, Should We Invest in Hedge Funds? A hedge fund is a formal association of investors. These investors bring money together to be directed by professional firms. This is the same as a mutual fund. But, despite this shared goal, hedge fund activities are different from mutual funds. Hedge funds face fewer regulations relative to mutual funds. They have stricter minimum investment threshold. Plus, they follow more flexible yet risky strategies. Besides, they function with less transparency. The goal of hedge funds is to maximize yields. However, management firms employ distinct strategies to attain this purpose. They do not all carry the same requisites as other investments. Hedge funds do have a prospectus. It is the “offering memorandum.” This prospectus outlines the specific approach of a fund, including leverage thresholds. Several talented portfolio managers try to work for mutual funds. This is due to their unique fee structure. Management fees are much higher in mutual funds. However, hedge funds have an extra charge which mutual funds do not have. Incentive fees reliant on profits made can vary from 10%-30%. Higher costs have also consented. Hedge fund investors anticipate high returns from their managers. They often expect losses to be recovered future profits count in incentive fees. In the US, hedge funds perform under varying regulations. Most hedge fund investors are certified. This means they have high incomes and a net worth over $1mn. Hedge fund investors are sophisticated. Therefore, hedge funds do not face SEC oversight. Hence, they have more operational flexibility. Thus, hedge funds have a dubious reputation as a speculative indulgence for the wealthy. A hedge fund manager takes all decisions about a hedge fund. Plus, he/she also oversees its operations. Hedge fund managers can be a lucrative career due to its productive potential. To succeed, a hedge fund manager should consider how to earn an edge. Besides, it is important to have a substantial investment strategy. Sufficient capitalization, risk management strategy, and a sales & marketing plan are also important. Managers who handle the portfolio also often own hedge fund management companies. This means their share of hedge fund’s profit is enormous. Investors finance the management fees when entering a hedge fund. This pays for the operating expenses and performance fees. Such performance fees are distributed among the owners as profit. There is a difference between hedge-fund managers and other managers. The personal funds and worth of hedge-fund managers are often directly tied to the fund. This is not the case with other managers. People seeking to invest in hedge funds should meet net-worth and income mandates. Hedge funds are high-risk instruments. This is because they follow aggressive investing techniques. Besides, they face lower regulations than other investment vehicles. Leading hedge-fund managers are some of the highest-grossing people in any sector. They even outpace CEOs of top firms. Some of the highest-paid managers earn around $4bn a year. Hedge-fund managers can become highest-grossing executives in the financial sector. All they need to do is remain competitive and emerge as winners always. However, not all hedge-fund managers earn a significant amount. This is because if they are unsuccessful in their endeavors, they are not paid. There are many strategies which hedge-fund managers can use to maximize yields. A common approach is using global macro investing. So, invest alongside a massive share in markets which have predictable macroeconomic trends. This strategy gives the needed flexibility to hedge fund managers. However, this approach depends highly on remarkable timing. Are you seeking an entry-level position in the hedge fund industry? Or are you looking for a mid-career transition? Whatever the case, this 10-step guide will give you a strong start. Surety about working for a hedge-fund will help you navigate these steps quickly. So, reflect. Ask if you want to work in hedge-fund and not as an accountant. Or working at an ETF or mutual fund. The surer you are, the easier it will be to get the right job. Your dedication to work for a hedge-fund will reflect in your self-discipline, passion, actions and industry knowledge. If you want to work in this sector, go all in. Try to learn as much as is possible for you. Decide to change focus. Commit to it for at least 3-5 years. See how it pays you off. Is working for a hedge fund your goal? Then build daily rituals which contribute toward this aim. Subscribe to hedge-fund newsletters. 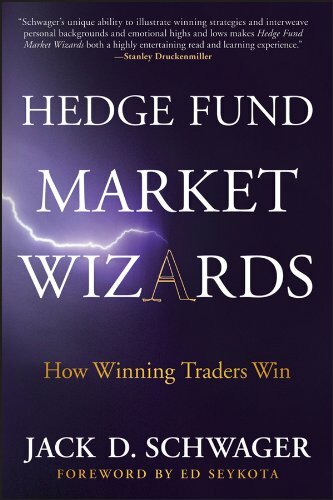 Read articles and books on the hedge fund. You can also join a local hedge-fund club. Learn the fundamentals. For example – who are the top players, the top definitions, etc. When facing a critical point in their businesses, leaders of these firms drew three circles. One circle had things they were passionate about. Another one had things which benefitted from their experience. The last only had those ideas which had the potential of being highly profitable. They considered only those choices which were within the intersection of these three circles. So, to succeed in the hedge-fund world, consider only those options you are passionate about. Take strength from your education and inherent traits. Lastly, carry the potential to be immensely profitable. Early in your exploration of the hedge-fund industry, try to identify some potential mentors. Mentoring relationships take time to evolve. But, many successful individuals like to help others. To impress your mentor, show patience, dedication, modesty and a thirst for learning. After gaining knowledge about hedge-funds and finding a mentor, what is next? Start seeking internships. You may be a full-time worker elsewhere. But, performing research for a hedge-fund even 8-10hours a week could be useful. 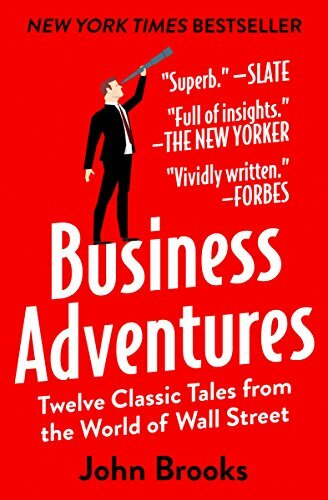 It will expose you to the practical features of hedge-fund operations. Try working on-site. But, do not give up a good learning prospect. Even it means getting an internship by working remotely. You have now read books, articles on hedge funds. Your internships are also complete. The mentoring relationships are developing. Now is the time to determine where you fit in the sector. Identify your niche and master yourself in that area. For instance, you may want to become a developing markets analyst. Write some white papers on emerging markets. Concentrate your job search on firms specializing in emerging markets hedge funds. Quantitative experience – The amount you pitched or made for your previous firm. Education – Quan-focused Ph.D., Ivy League, MBA? You can find unadvertised job vacancies by cold-calling firms. These firms are listed on the online Chamber of Commerce and industry directories. In the hedge-fund world, you can do this by networking via the Hedge Fund Group. Hedge Fund Association is also an excellent place for networking. Informational interviews are also an excellent opportunity to find vacancies or even land jobs. You can also apply to hedge funds using the approach used in any job search. Try setting-up informational meetings with two administrators, four brokerage companies and 20 hedge-fund experts. Describe yourself. Ask if you can meet for coffee to know more about their business. Use these meetings to know about their work and the challenges they face. Ask for more reference contacts at the end of the session. And watch your network develop. The job of a service provider may appear less glorious than working for a hedge fund. But, there are strong career prospects for experienced candidates adept at the prime brokerage, or risk management. Such positions expose you to many individual hedge-fund managers. These managers may choose to recruit you at some point. Prime brokerage jobs serve as a base camp for fund-of-funds marketing profiles. Is it gone through the first nine steps? Yes? Now you have a rough idea of the hedge-fund strategy that may work for you. Recruiters prefer working with people having a minimum of three years of experience in the hedge-fund sector. Many managers use knowledge of other areas in the hedge-fund world. However, the recruiter is unlikely to work with such professionals. Despite criticism, hedge funds have emerged as high-revenue yielding vehicles. This is because of the unusual, strange hedge fund strategies. Looking at the overall image, hedge funds are now a part of Wall Street’s ecology. Here, the fund manager keeps short and long positions in stock and stock derivative securities. Hence, the investment manager will buy undervalued stocks and sell overvalued ones. Several strategies are used to come to an investment decision. This covers both core and quantitative strategies. This strategy can be both narrowly concentrated or widely diversified. It can vary widely concerning leverage, exposure, valuations and holding period. The fund goes short and long in two competing firms in the same sector. But, managers try not to hedge their whole long market value with short positions. Here, hedge funds aim toward zero net-market exposure. This means that longs and shorts have the same market value. Hence, managers produce their whole return from stock picking. This strategy carries a lower risk compared to the first one. However, the expected returns are lower too. Here, the stocks of two merging firms are purchase and sold simultaneously. The goal is to build a riskless profit. This strategy believes the risk that the merger will not happen on time or at all. The target firm’s share sells at a discount to the price which the merged firm will have. Such a difference is the profit of the arbitrageur. The arbitrageur is only concerned with the chances of the deal being sealed. Plus, the time it will consume to seal the deal. Convertibles are the combined securities that include a mix of bond and equity. A convertible arbitrage entails long convertible bonds. Plus, it shorts a portion of the stock into which they change. Simply put, it entails a short position on shares and long position on bonds. It tries to reap profits when the conversion factor involves a pricing error. Thus, it tries to benefit from mispricing between a convertible bond and its stock. For example, the convertible bond is cheaper than its core stock. Then, the arbitrageur will assume a long position in the bond and short position in share. In contrast, let us assume that the convertible bond is overpriced. Here, the arbitrageur will assume a short position in the bond and long position in the stock. Managers here, an attempt at maintaining a delta-neutral position. This way the stock and bond positions offset one another as the market changes. Delta Neutral Position – Strategy wherein the value of the Portfolio stays the same when minor changes happen in the underlying security’s value. Convertible arbitrage prospers on instability. Why? Because of more fluctuations in stock, more the opportunities for adjusting the delta-neutral hedge and booking profits. Here, a company’s underpriced security is bought while overpriced is sold. The goal is to gain from the pricing inconsistency in the issuing company’s capital structure. Many quantitative, directional and market-neutral credit funds use this strategy. This entails going long in one security and going short in another. For instance, short CDS and long equity. This approach gains from arbitrage potential in interest rate securities. Here different positions are taken in the market. The point is to benefit from minor price inefficiencies, reducing interest rate risk. Swap-spread arbitrage is a typical example of this strategy. Under swap-spread, contrasting short and long positions are assumed in a Treasury and swap bond. These strategies offer smaller returns and may lead to huge losses at times. Herein the fund manager maintains positions in firms involved in different situations. For example, buybacks, mergers, tender offers, restructure debt exchanges, etc. Here, the aim is to benefit from big political and economic changes in different nations. The point is to focus on bets on currencies, independent bonds, and interest rates. Fund managers assess economic factors. They study their impact on the markets. On this basis, managers form investment approaches. The managers study how macroeconomic factors will impact currencies, interest rates, etc. Then they assume positions in the asset group which is the most sensitive. Several techniques are used in such a case — for example, systematic analysis, fundamental and quantitative approaches, etc. Managers prefer liquid vehicles such as currency forwards and futures to implement this approach. This approach entails selling the stock which is likely to depreciate. Fund managers need to scrub the financial records to implement this approach effectively. They need to speak with rivals/suppliers to find any hints of trouble. Hedge funds do produce some incredible yearly returns. But, such returns rely on your skills to effectively apply the strategies. Most hedge funds use the Equity strategy. However, others also follow Macro Strategy, Relative Value, etc. You can master these approaches by monitoring the markets and learning always. Who would not like to be a hedge fund tycoon? Like, who would not want to be a rock star? Or a movie star? The only distinction is, you’ll get billions to play with and not just some millions. Take a look at the list of the world’s wealthiest people. You will find hedge fund moguls like Carl Icahn or George Soros. Icahn has a net worth of $17.8bn while Soros weighs in at $25bn. It takes determination and brilliance to become wealthy through hedge funds. So, how to get started with this game? The first step is to get lawfully established with your fund. Then find investors who are willing to give you a try. The good news is the securities mandates, and paperwork is not impossible. There are many legal and regulatory requisites to be met. Only then can you begin pitching your ideas to investors. Your background may determine if you are already somewhere on the path. And so can your current working on Wall Street. Obtaining the seed fund is a tricky proposition. However, it is doable. Running a hedge fund is very different from merely investing in stocks. You need to learn how this complex and risky, yet appealing field works. 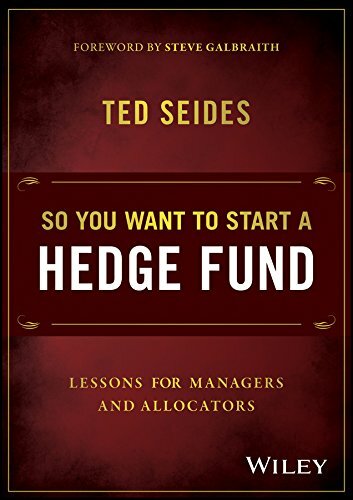 Go through “So You Want to Start a Hedge Fund” by Ted Seides. 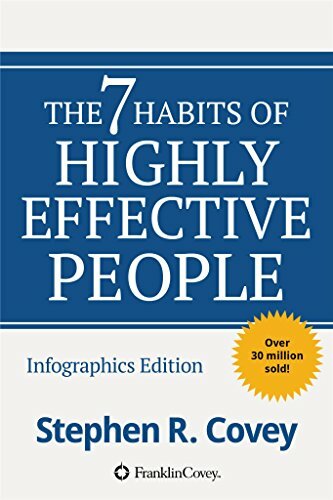 There are many other books in this field by experts. You should draw wealthy investors. Enter a variety of alternative investments. This may range from derivatives to currency trading. The goal should be to maximize yields. Hedge funds also do not face strict regulations as mutual funds. They can invest in areas where mutual funds cannot. These funds can short sell, go for riskier deals. The payoffs for investors and their managers can be huge too. Hedge fund managers get a proportion of assets managed. Also, they also get a 20% share of the profits. The gains can be much greater. For example, Voce Capital Management’s Daniel Plants got a return of 19% last year. The first step is to choose a name. Pick this carefully. You will need a name which expresses your particular investment strategy. The name must also inspire confidence. Next step is to incorporate in your state of residence. The most common choice for hedge fund owners is a limited liability partnership (LLP). Other options include forming a trust or limited liability company (LLC). This takes some hundred dollars at most. To provide investment guidance, you will have to pass an exam. This would be Series 65 or the Uniform Investment Advisor Law Exam. This is a 3-hour test. It will not test your investment brilliance. Instead, it tests your understanding of securities law and basic ethics. The cut off is 94 out of 130. It will cost you $175. You have cleared the Series 65. Now you have become an official investment advisor. It is now time to get the SEC on your plan. You will need to register with the SEC in the capacity of an investment advisor. This is required when you have 15 investors or more. However, you must do it even if technically you do not need to do. It conveys the correct message to likely investors. You will have to call the IRS. Or you may visit its website to obtain the Federal Employer Identification Number. You can conduct business as a sole proprietor. However, you think it would be better to safeguard your assets from legal hassles. So, you can form a firm to be the general partner of the Limited Partnerships. Now, you are technically representative of your consulting company. Next, register your firm via the Investment Advisory Registration Depository. Following this, register yourself with your new firm as an investment advisor rep.
Now, register your offerings of LP, your partners, or purchasers. This will be the investment house or bank. It will lend money, execute trades, and perform other services on your behalf. A good lawyer is a necessity in a business as complex as of hedge fund. This will save you from committing silly paperwork mistakes, at the very least. Do not have much knowledge about public relations? Hire an agency which deals with media. Even better, hire a former reporter adept in this field. Paperwork is no fun, agreed. But, what follows is the actual tough part – bringing in investors. Managing a hedge fund is costly. Hence, you will require substantial investors who can pay the bills. This will allow you to work magic with the money. Substantial means a net worth of more than a million and a yearly income of over $200,000. And, a house is not included. You may have to fish in deep waters. So, a network of rich people may help a lot. Good luck. You will need it besides determination and extraordinary investment strategies. In a mutual fund, funds are collected from different investors. A professional money manager manages this fund. It is used to buy a bunch of securities from the share market. In contrast, hedge funds are an investment portfolio. In this, only some certified investors can contribute to buying assets. The goal of mutual funds is to provide yields over-and-above the risk-free return rate of the market. In contrast, hedge funds try to maximize returns from the investments made. Investors in mutual funds are common men. They put their confined disposable incomes in this fund. They hope for their invested money to grow. In contrast, investors of a hedge fund are established people with a huge appetite for risk. Such investors make significant investments. They want high yields quickly. Professional fund managers manage both types of funds. However, a mutual fund manager does not have a significant interest in the fund’s activities. Hedge fund managers hold a considerable portion in the fund. Hence, they produce a level playing field. Plus, they avoid decisions which can be harmful to the fund’s overall interest. The Securities Exchange Board of every nation tightly regulates mutual funds. However, this is not the case with hedge funds. Full disclosure of mutual funds is needed in the form of yearly annual reports. Such disclosures should be made public. The statement must be sent to all investors revealing the overall performance. In contrast, hedge funds provide information just to investors. There is no need for public disclosure of information. In mutual funds, management fees depend on the proportion of assets managed. For hedge funds, the fee depends on assets’ performance. Mutual funds have many investors. The investment of each investor is limited. In contrast, only a small number of investors invest in hedge funds. But, the amount invested by them is enormous. The minimum investment limit in hedge funds is $10mn. In mutual funds, an investor can invest as low as $8. It is quite easy to redeem mutual funds. Why? Because the amount of funds is less compared to hedge funds. In hedge funds, the lock-up time is long (often three years). Due to this, it is not possible to redeem them. As a result, redemption is done in blocks, and one cannot redeem 100% amount. Having read this What Is Hedge Fund article, what is your comment on it? Please feel free to share your thought with us.